Can I duplicate a form? Is it posible to duplicate a form so I don't have to add all the questions again manually? 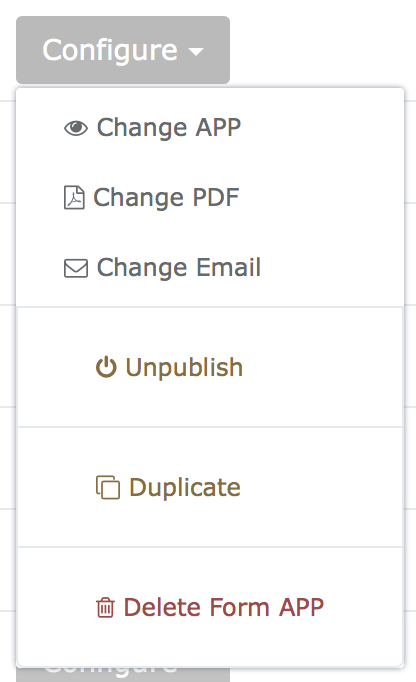 Yes, it is possible to duplicate the forms. To do this you must enter the Mobile Form Builder, then click on Configure on the form you want to duplicate and then click on Duplicate.